Most experts will tell you to put your money into your lenses rather than your camera. And that’s true. They don’t become obsolete. They have a great effect on image quality. They even hold their value. But the top lenses can cost upwards of $2,500, and that’s just for wide and mid-range lenses. The long telephotos can get completely insane (upwards of $10,000). So we have to be a little bit reasonable here. You may never take this lens off your camera. You get some wide angle, mid-ranges, portrait lengths, and even a little zoom. It is a well-built L-Series lens. 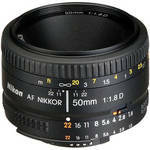 An all-around great lens for a relatively reasonable price. The focal length of this lens is insane, especially considering the price and quality. Covers all ranges, with a great deal of telephoto. Get it and leave it on your camera. The price is right too. A great, well-built L-Series lens for under $1,000. A premium stabilized lens that works for full-frame and DX sensors. Cheap, sharp, fast. A great introduction into the world of prime lenses. Ditto. A sharp, fast, well-built 70-200. Aperture opens up to 2.8 for maximum light. Note that this is the older version – the newer model costs $1000 more! A reasonably priced, well-made 70-200 from Nikon. But times are tough! What’s a kit lens solution? 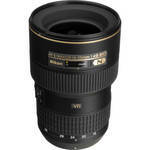 The Canon EF-S 15-85mm f/3.5-5.6 , while not a kit lens, is actually a nice, highly rated lens. It gets you a nice wide-angle all the way up through the portrait lengths. It is cheaper than any of my recommendations, but it will still set you back $800. If that is too much, just go with the Canon EF-S 18-55mm f/3.5-5.6 lens for now. Same is true of Nikon . Start with that and add lenses as additional funds are available to be devoted to your frivolous photography pastime. Money is no object! What are the best lenses available? None of my picks are the most expensive lenses available, or even the absolute best lenses on the market. But they are the best for the money. I don’t think anybody is looking for me to tell them how to spend $2,000 for a lens. For Canon make your wide-angle the Canon 16-35mm f/2.8 , the mid-range the Canon 24-70mm f/2.8 , and make your telephoto the current model Canon 70-200mm f/2.8 . For Nikon the best wide angle is the Nikon 14-24mm f/2.8 , the mid-range is Nikon 24-70mm f/2.8 , and the telephoto is the Nikon 70-200mm f/2.8 . Either the Canon or Nikon set-up will cost you almost $7,000 for all three lenses. But your Death Star will be complete. In addition, to ensure that you stay up to date on posts for this site, please consider subscribing.